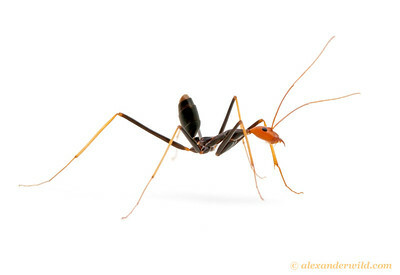 is a large, leggy, often colorful genus restricted to eastern Australia, New Guinea, and New Caledonia, with one relictual species in central Brazil. 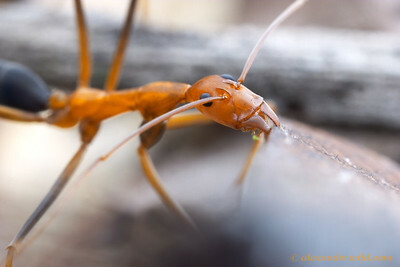 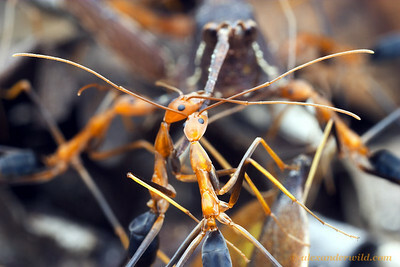 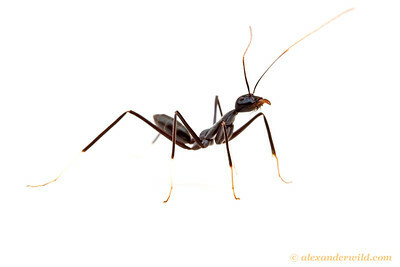 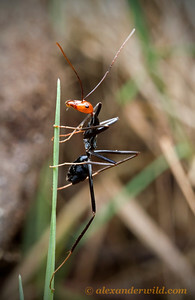 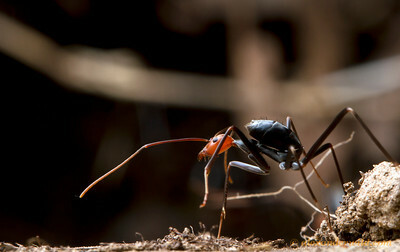 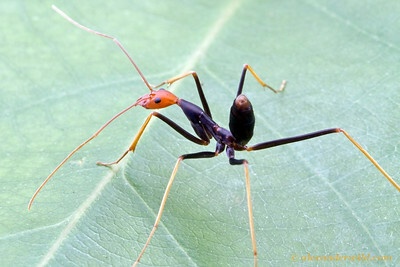 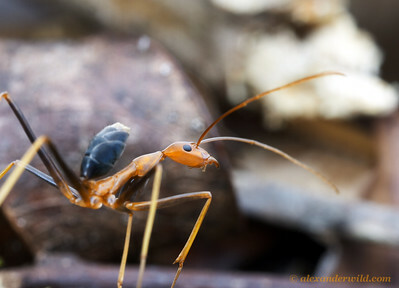 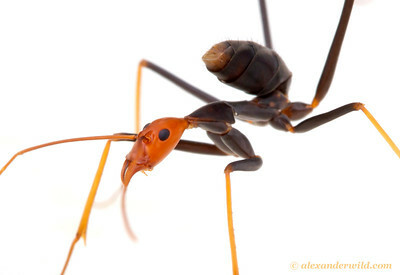 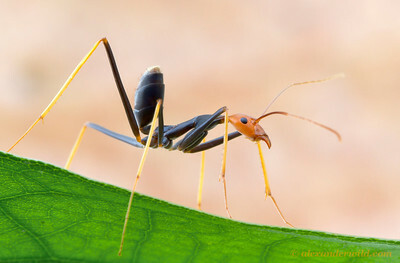 The skittish movements and long legs of these distinctive insects give them the common name "spider ants". 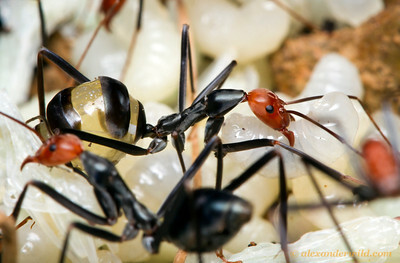 Some workers in each nest specialize as living storage containers called repletes, their abdomens greatly distended. 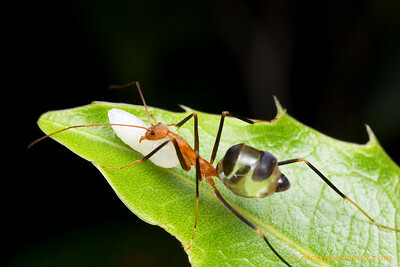 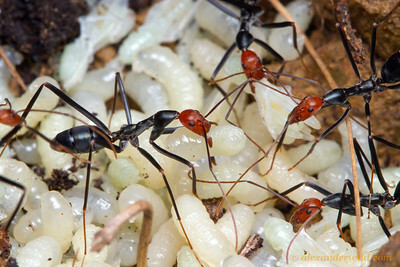 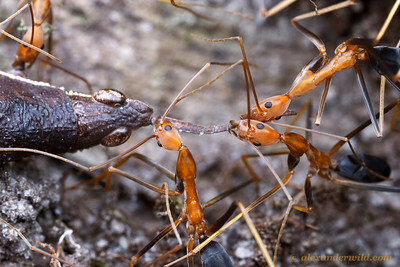 Most ants are scavengers more than predators. 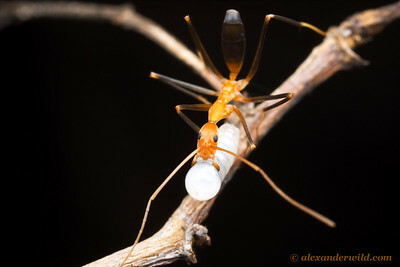 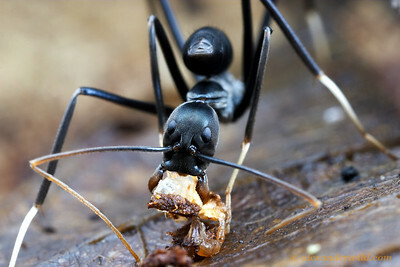 This spider ant has found the carcass of a dead honey bee and is carrying to her nest. 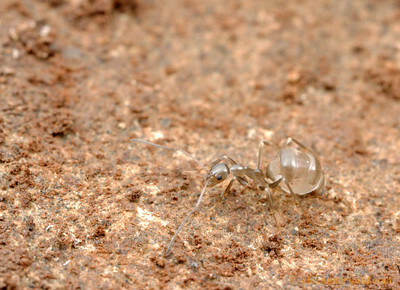 Diamond Creek, Victoria, Australia.